Our award-winning Kids U summer camps are exclusive opportunities for area youth in grades 3-12. Children come to UT and learn from college faculty, staff, and graduate students in fields such as art, chemistry, cooking, anthropology, photography, microbiology, computers, and more. Camps are offered for one week in the morning or afternoon. Please register early. 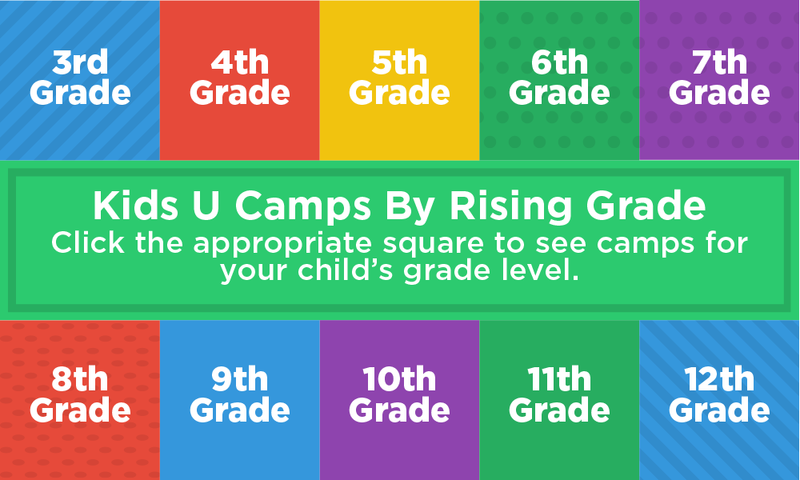 Class sizes are limited, and camps fill up quickly. For more information about Kids U, call 865-974-0150. After registering your child for camp, you must read the Kids U Parent Handbook. This handbook covers important information concerning your child’s participation in our summer camps. Please read it carefully and completely. After registering your child for camp, you must complete and submit your child’s consent, medical, and code of conduct forms. Please make sure that all required forms have been submitted at least one week prior to your child’s first day of camp. Attention Parents: We offer a lunch option to students enrolled in a morning and afternoon Kids U camp at the University of Tennessee Conference Center (UTCC). Your child will have a supervised lunch provided during the time between the morning and afternoon camps. If your child only has a morning camp, they may stay until 1:15 PM and have lunch. If your child only has an afternoon camp, they may arrive at 11:30 AM to have lunch first. Lunch times may vary depending on the time of your child’s camp. You must register and pay for the lunch option at least one week prior to the week your child will be attending. Note: If your child has a camp on campus and wants to eat lunch at the UTCC, you’ll need to provide transportation for them. Transportation will NOT be provided by Kids U. 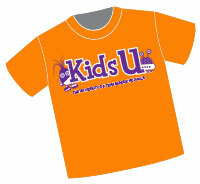 REGISTER FOR A KIDS U CAMP AND RECEIVE A FREE KIDS U T-SHIRT! We’re providing a free Kids U T-shirt for each child who registers for a Kids U camp by May 3, 2019. These shirts are a great way to show off your Kids U pride, and we hope they will serve as a reminder of your unforgettable summer camp experience. Note: When you register for a Kids U camp at utkidsu.com, you’ll be prompted to choose a T-shirt size once your camp selection is in the Enrollment Cart. T-shirts are available in youth and adult sizes. Limit one T-shirt per child. You must register by May 3 in order to receive your free T-shirt. If you register for the LEADS or Community Service camp, instead of a Kids U T-shirt, you’ll receive a T-shirt specific to the camp you’re attending. Please review our Updated Refund Policy.